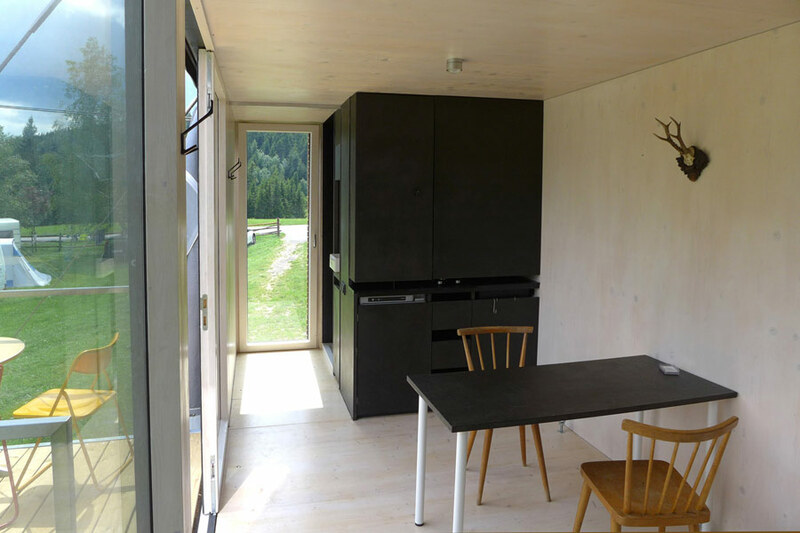 Hello Tiny House Swoon team, I am an designer from Austria and this is my last project. I would be happy if you show it on your site. 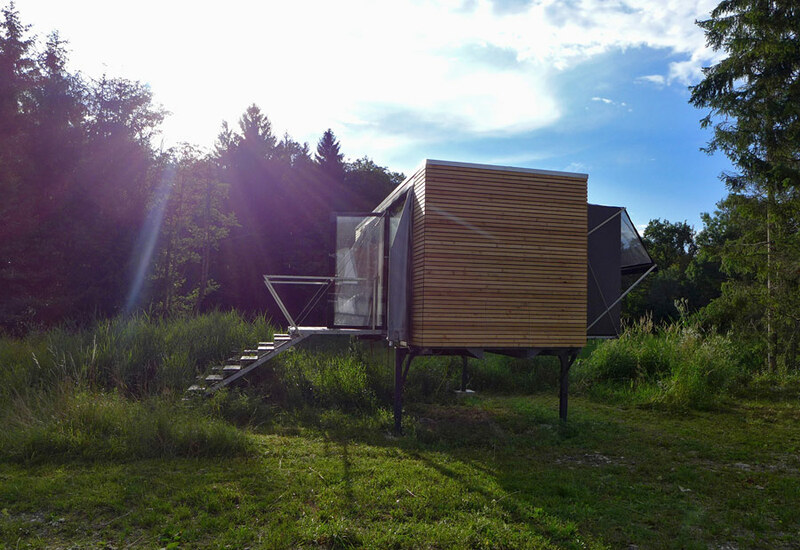 Its a mobile house and i was already traveling to several festivals with it, its made of cross laminated wood and can be transported as a whole very easily. I hope you like it. 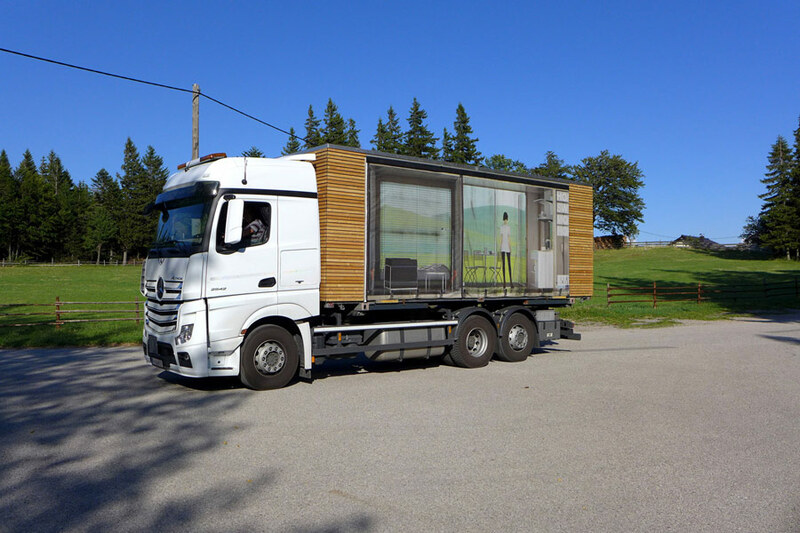 A tiny house in Vienna, Austria that can be mounted to a truck or stationery on land. Designed and shared by Gerhard Feldbacher. I would love to get info about this tiny hole, it is absolutely beautiful in its simplicity! That is the most amazing thing I have seen in a long time. The thing I like most about this is the fact it just looks solidly built. Wow, this is stunning. Looks good, love the exterior cladding, the dual access, beautiful glass windows. It is a tad modern, but the great layout easily makes that into a lovely home. The bump out is not up my alley but even if that bed was directly in the middle of the bedroom that wall would make a great statement with nice privacy. love how spacious it is. Gonna have to find out the exterior dimensions. Well designed and nicely executed. 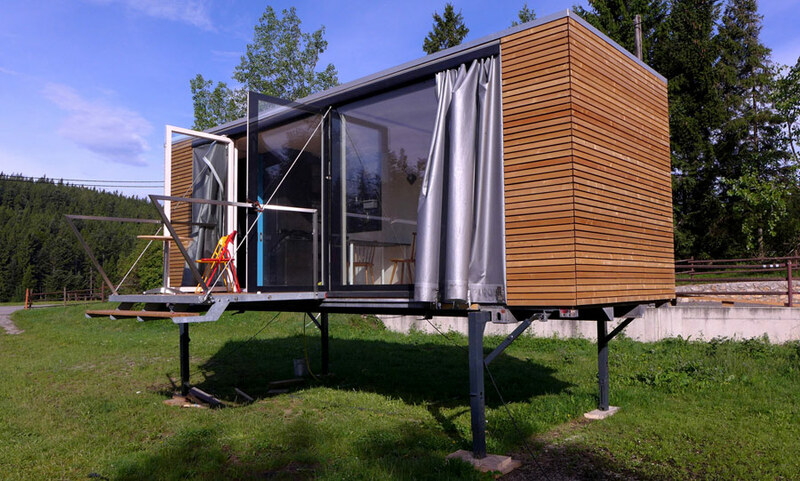 Even though it isn’t on wheels it is totally portable in a nice looking way. Definetely like the Stilted idea. Isn’t on wheels? Are we looking at the same pics?? It is transportable by what looks like a roll off truck . so it is like a container, on some serious legs. there are no wheels in the last couple of pics?? Hello Carol, this is Gerhard, the designer of the house. Its indeed something like a container on legs, just that its made out of 10 cm (about 4 inch) cross laminated wood. 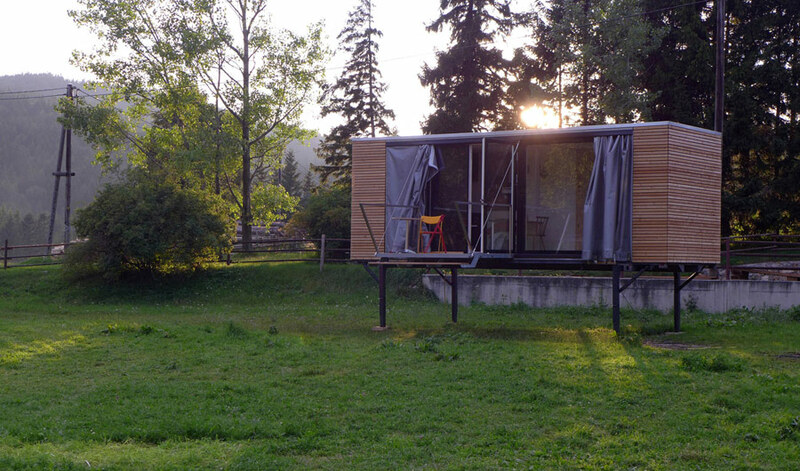 I love this tiny house! Simple, elegant, comfortable and spacious. Perfect! When do I move in? This is very nice as far as it goes. 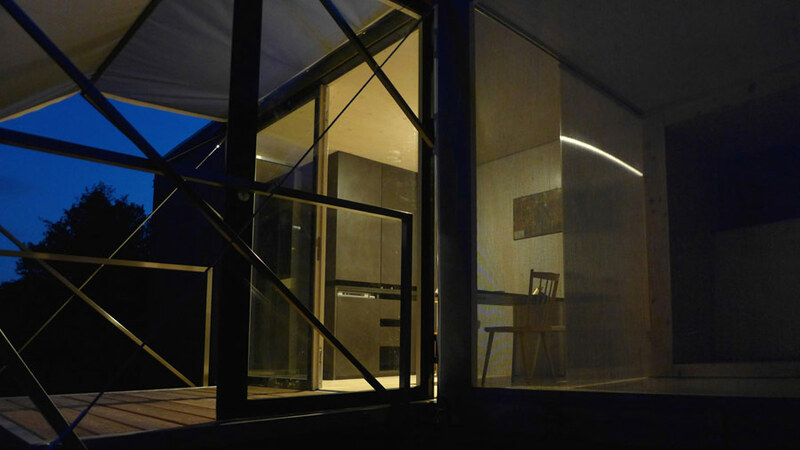 It devotes a great deal of space to “openness” or “negative space”. Meanwhile, most females would agree that a house is not a home without a full bathroom. Maybe add a wet bath and then you truly have a house/home and not just a guest house. is the bath not behind the kitchen unit? I love the look, both on the truck and off. 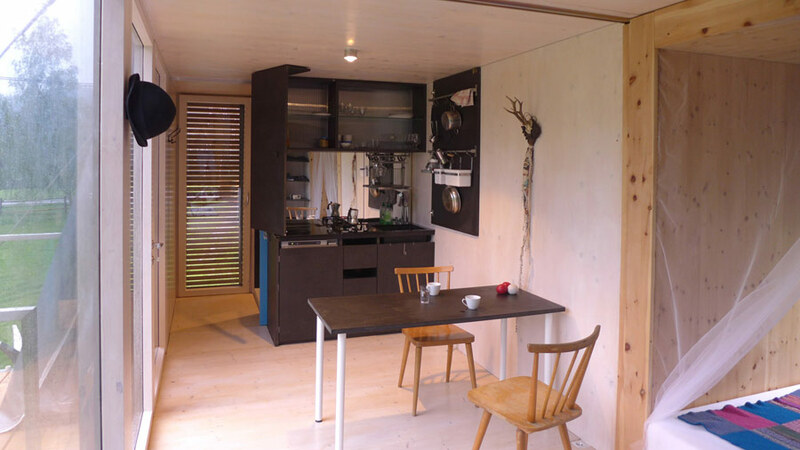 the kitchen is the best design I have seen in the tiny house field. must have a bath to be practical. I want to be able to wash my body and will not be using a bucket. the bump out could be nice but may not be necessary. very close to an idea Im brewing. Are there any more details on the build? 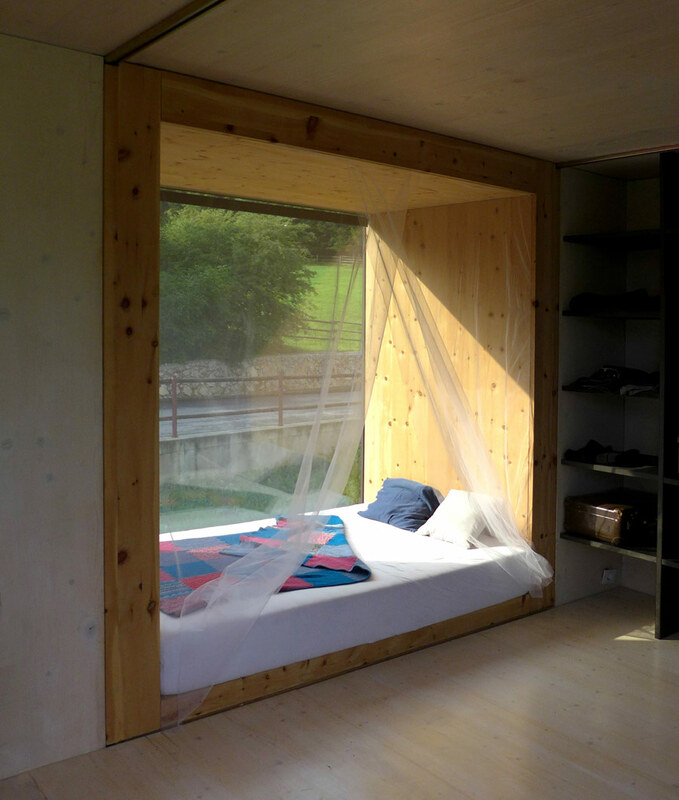 Is the exterior plywood? Id love to know how the slide out was done too as I want to do the same but its getting a bit techy for me. would really like more deets on this, how it gets on and off the truck to. Take out bottom wide shelf, make that a desk. 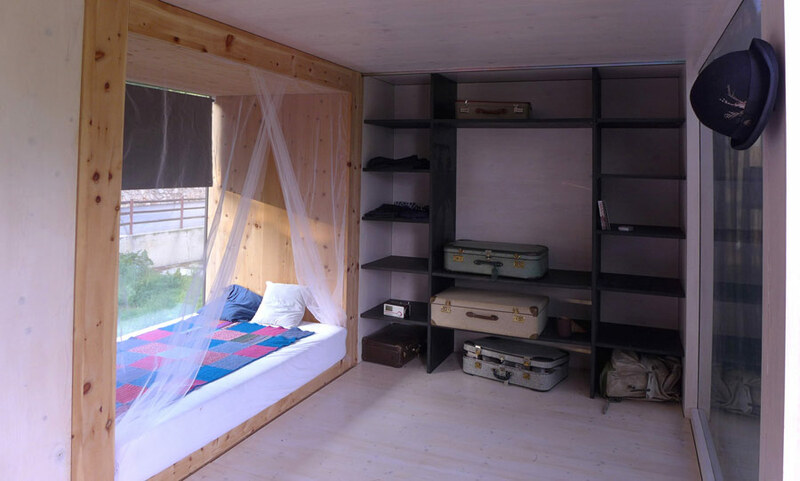 Raise mattress to a normal height.leave open underneath to put suitcases from desk.